The Royal Sun Alliance, was started in the United Kingdom in 1710, and is now the longest continuously operating insurer in the world. 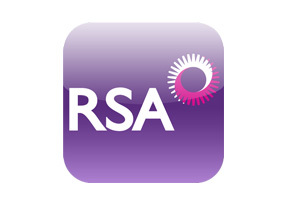 RSA, as it exists today, was formed in 1993 when Royal and Sun Alliance merged to offer insurance coverage for health, property, home, travel and now operates in more than 130 countries. With international offices in Europe, the Americas, and Asia, RSA is able to offer comprehensive coverage in Malaysia for groups, families, individuals and travelers and thanks to their 24 hour emergency hotline and award winning customer service, care and assistance will always be available when it is needed. RSA is especially knowledgeable regarding the needs of locals and expatriates alike in Malaysia, and for that reason, it has on offer a large number of plans to choose from and all are very flexible, with many having transfer options should the insured move outside Malaysia. For more information on coverage offered by RSA in Malaysia, speak with a Malaysia Health Insurance adviser by clicking here. If you would prefer someone to contact you, or you wish to communicate in a language other than English simply fill out an information request found at the top of this page and an adviser will contact you soon.